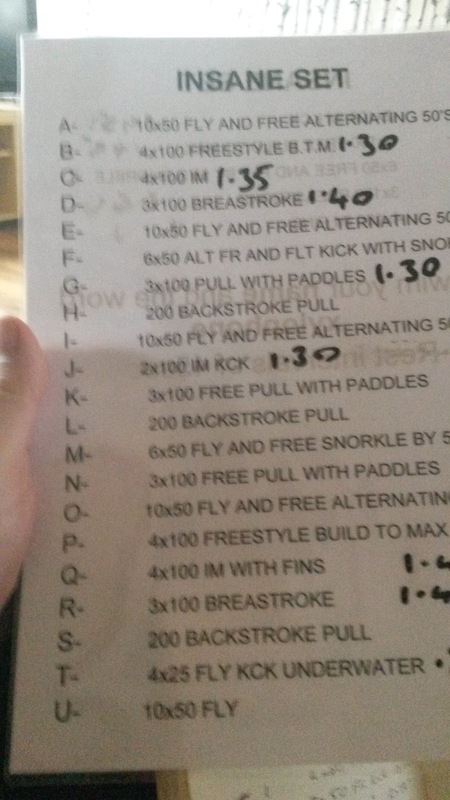 I often think that the first swimming gala (meet) warm-up can be a daunting experience when the lanes get full. 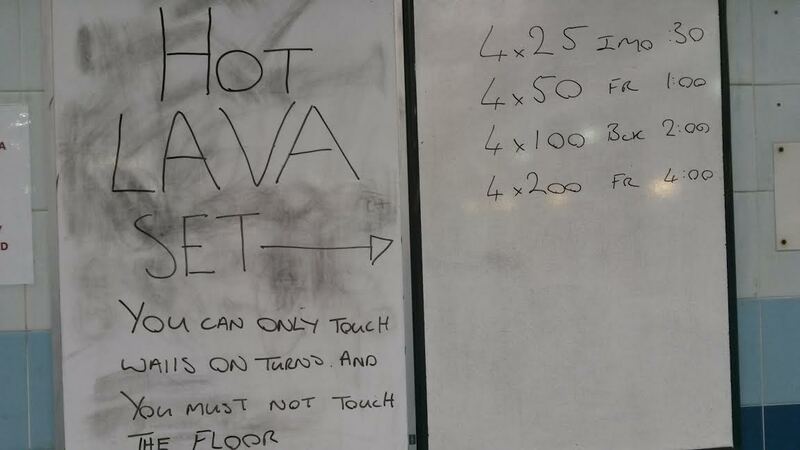 To prepare our junior swimmers I like to set the following swim down. All athletes in one lane (the more the better). Set the distance 200m+. First swimmer sets off, and the next swimmer follows but is not allowed to copy the stroke of the first swimmer, and so on. 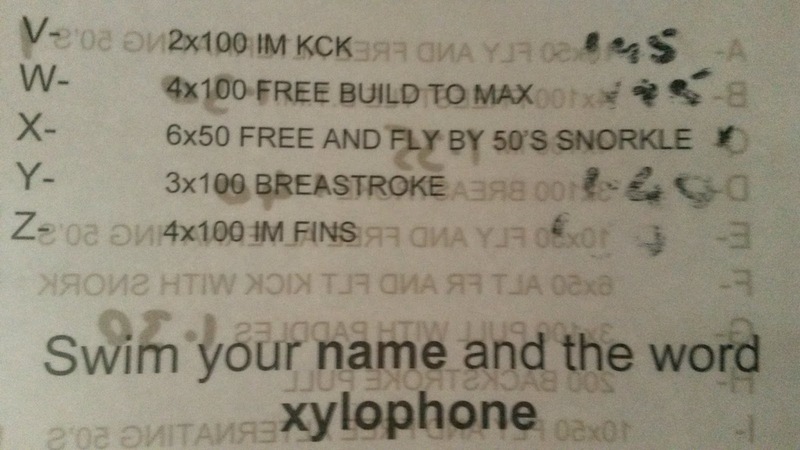 They have to swim all strokes without copying the swimmer in front. There is no overtaking or stopping at the end of the lanes allowed. Repeat set 4x or 5x, decreasing the interval 5 seconds each time. When an athlete can no longer make the interval, they put fins on to finish the set.